The courts have assigned guardianship to the OPA to manage the financial accounts and physical care for those who are unable to care for themselves. * The OPA apparently does not have a clear record of exactly who its “clients” might be. * Many of the wards do not in fact reside in Jasper County. * Casavecchia also inherits the underlying problems associated with the Emma France case. * There is also the question of fees charged by the OPA to the estate of patients. * There are many questions and issues associated with the Jasper County OPA that a state audit might resolve and with little controversy. * We also look forward to how the courts will resolve accusations of civil misconduct associated with the Emma France case. Assault, burglary, driving while intoxicated, theft, domestic violence, indecent exposure and prostitution, possession of cocaine and marijuana, selling alcohol to minors — what do all of these crimes have in common? 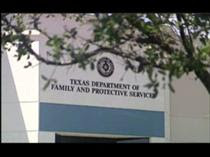 They are just some of the crimes committed by people who work for the Texas Department of Family and Protective Services, the agency in charge of protecting the state’s children. KEYE Investigates found at least 370 employees have a criminal background, and some have direct contact with foster children. >How Many More Cases Are There? As we move to 2009, remember the lesson from three frail old ladies — Margot Claus, Marilyn Plank and Rose Quattro — who escaped the shackles of probate court-imposed “conservatorship” this year. Right now, judges from the state’s 117 probate courts are considering their own recommendations for reform that they will give to the legislature. Not surprisingly, the judges don’t appear too eager: They will not propose consolidating the sprawling court system, let alone requiring that judges be lawyers. Which is why the cases of Claus, Plank and Quattro must not be forgotten. These were typical probate cases of three women from very different places: Germany, Michigan and East Hartford. All had strikingly different economic backgrounds. Their cases surfaced in courts in different regions of the state. Without media attention, all might still be conserved. Each woman was deemed unable to manage her own affairs and, in effect, locked up by probate court. Claus and Plank were conserved under questionable circumstances. Quattro merely wanted to leave a nursing home and live at home with her son. With Claus and Quattro, even the court-appointed conservators fought attempts to release them from their conservatorship. The judge in Plank’s case sat on a plea to free her for a year. How many more cases are there like this, buried within our 300-year-old probate bureaucracy? How Many More Cases Are There? A former Department of Human Services employee now faces trial in two separate Tulsa County felony cases with financially exploiting vulnerable adults. Debra Maxine Roberts, 50, waived her right to a preliminary hearing in one case. In the other, Special Judge Cliff Smith heard testimony and found sufficient evidence to bind her over on a charge of exploitation of a vulnerable adult. In the case where a hearing was conducted, Roberts, who was a DHS adult protective services specialist, was charged Dec. 1 with taking nearly $4,500 in funds belonging to James True, 84. Roberts was a temporary guardian for True after a court determined that he lacked the mental capacity to consent to necessary protective services. Five women were arrested and fired from an Allegheny County-run nursing home, accused of assaulting and verbally harassing a 94-year-old Alzheimer’s patient. County police said the investigation began in November, based on reports from co-workers at Kane Glen Hazelon Rivermont Drive in Pittsburgh’s Glen Hazel neighborhood. You are currently browsing the National Association to Stop Guardian Abuse blog archives for December, 2008.